The naira depreciated against the United States dollar by N6 on the parallel market yesterday, as it closed at N368/$, its lowest level in more than a year, due to increased demand for the greenback as the Yuletide season draws closer. However, as part of the efforts to address the rising demand for the dollar, the Central Bank of Nigeria (CBN) yesterday announced special intervention of foreign exchange sales to Bureau De Change (BDC) operators. In a letter to the currency dealers dated November 29, the apex bank explained that: â€œWith the approach of the yuletide season and the resultant increase in demand for personal travel allowance, the CBN has in addition to the existing market days (Monday, Wednesday and Friday), introduced a special intervention day of every Thursday $15,000 per BDC commencing on Thursday, December 6, 2018.
â€œConsequently, all BDCs should note that the cut-off time for receiving naira deposits into their respective bank accounts for the Thursdayâ€™s special intervention shall be 10 a.m on the Thursday. Meanwhile, the naira had closed at N362 to a dollar the previous day. Some currency dealers however attributed the development to the activities of speculators in the market who were said to be hoarding the US dollar. But speaking in a telephone chat with THISDAY last night, the President of the Association of Bureau De Change Operators of Nigeria (ABCON), Alhaji Aminu Gwadabe, who confirmed the naira depreciation on the parallel market, warned his members to desist from any form of unethical practice in the market. â€œYou know, some people are buying the in expectation that the naira will fall. But I can assure you that ABCON and the Central Bank of Nigeria are working closely to ensure that the stability in the market for about two years now is sustained,â€ Gwadabe said. 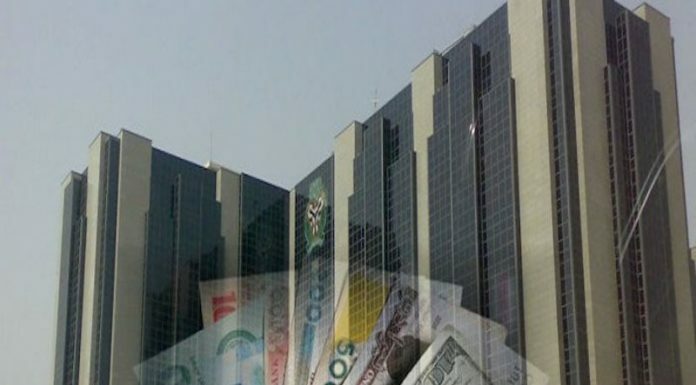 THISDAY last week reported that the combination of tightening global financing conditions, which has resulted to capital outflows in the country, the elevated global risk aversion, 2019 election uncertainties and high services payments were likely to put pressure on the naira. Analysts at CSL Stockbrokers Limited and the Financial Derivatives Company Limited (FDC), had stated this in two separate reports. They had also pointed out that capital repatriation by foreign investors was also expected to heighten dollar demand. It said, â€œThe impossible trinity (also known as the trilemma) postulates that it is impossible to have all three of the following at the same time: a fixed foreign exchange rate, free movement of capital (absence of capital controls) and an independent monetary policy. In addition, the firm predicted one more hike in the US Federal Reservesâ€™ (the Fed) interest rate in 2018. This it stated would further intensify capital outflows, heightening pressures on the exchange rate. CBN is weak, they're only good at extorting their people. When will Nigeria be better.